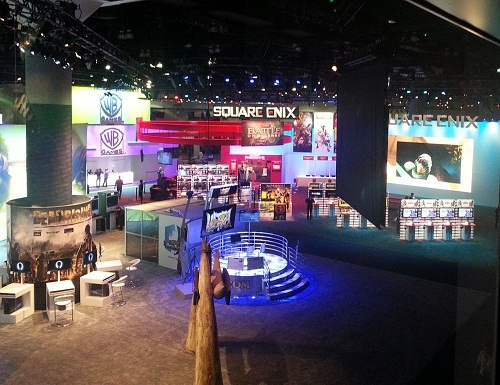 As you know if you were following us last week, TLS member Howl (otherwise known by her government name, Stephanie Olson) not only was able to go to E3 2014; she actually got to work for Square Enix all three days. 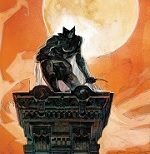 Here’s her account of things, as well as photos she took during the event. Do enjoy. Our thanks go out to Ms. Olson, as do our congratulations once more for getting to have such a unique experience. I’ve finally fallen back in sync with life-as-usual now that E3 is over. 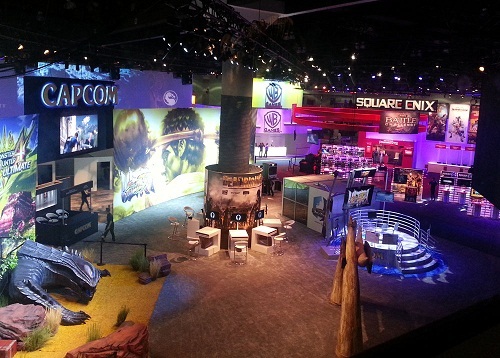 This was my first time working at E3, so I can’t compare my experience to previous events, but I can tell you just what it was like and how I landed the job. If you’re interested, I found the job listing through a website called Wired Talent. 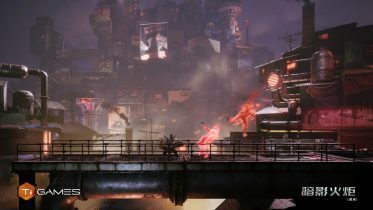 WT lists contractual jobs in the video game industry in four major metropolitan areas: San Diego, San Francisco, Los Angeles and Boston. I’ve seen a lot of QA openings on Wired Talent, so if that’s what you’re cut out for, check it out! Let’s get back to the topic at hand. I worked with Square Enix, so of course I had the opportunity to stroll into their El Segundo office for a group interview a few weeks prior to E3. Let it be known that Square Enix’s office (or at least their main lobby, which I saw the most of) is impeccably neat. I didn’t inspect for dust or discarded staples in the carpet (I’m guilty of tossing used staples all over my cubicle floor at work), so I can’t say whether their office is clean, but it’s certainly organized. It didn’t smell dirty either, so I’m going to give SE the benefit of the doubt and assume that they dust their display cases and throw their used staples in the trash. 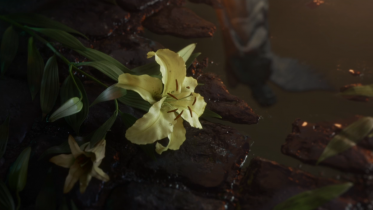 I have faith in your cleanliness, Square Enix! I’ll try to abstain from providing details that outside observers probably already know about. 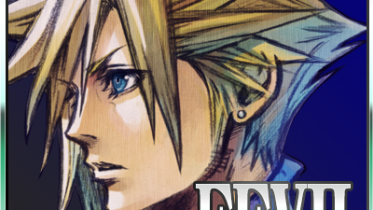 You all know which games did or didn’t make appearances, and our feelings concerning Square Enix’s reveals (or lack thereof) are probably mutual. I worked at Nosgoth’s kiosk on June 10th and 12th, and I worked at the Theatrhythm kiosk on June 11th. Prior to being placed at the Nosgoth kiosk, I’d never heard of the game. However, I was given a quick rundown on the game’s mechanics plus a spiel on how to present the game, and all turned out very well. 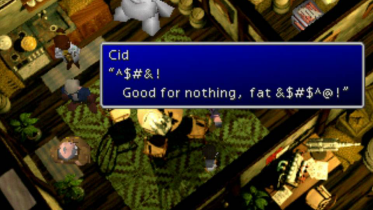 The bottom line is that I was given all the information that I needed to answer questions regarding the kiosks I was working, and the few times that I didn’t have the information I needed, a Square Enix employee was always nearby for support. SE also ensured that I was constantly stocked up on Nosgoth loot (lanyards). I should mention that loot played a crucial role in luring visitors in, and I hope that next year, SE will be a bit more generous. Most of SE’s goodies came from Final Fantasy XIV: A Realm Reborn. The FFXIV kiosk provided “I beat Leviathan” shirts to teams who were able to fell Leviathan, and they handed out some giant bags (I managed to procure two of them). 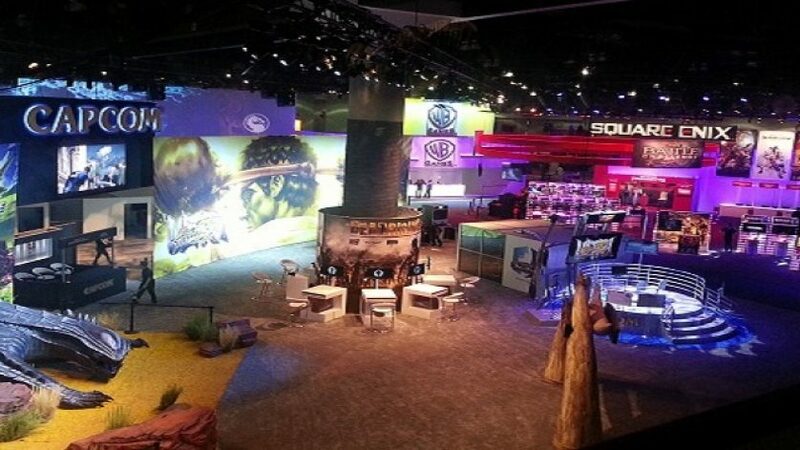 Nosgoth’s kiosk provided lanyards; in their upstairs VIP lounge, they handed out mouse pads and beta codes. 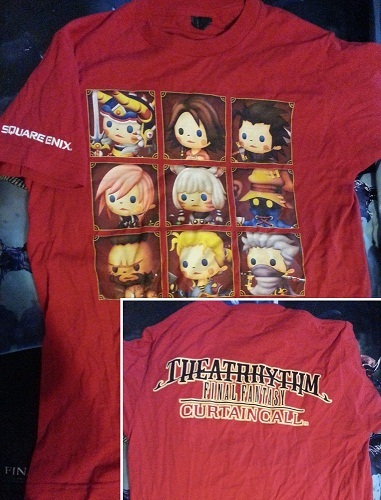 I had several attendees ask me if we were handing out Theatrhythm shirts (the ones that staff members were wearing). 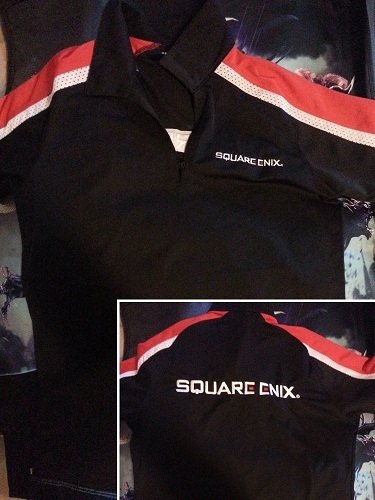 After I dished out a few apologetic “no’s,” I was asked if the shirts would be available on Square Enix’s online store. I checked with a SE employee, and it seems that the shirt was made specifically for employees to wear at E3. Hopefully that will change; a lot of people wanted this shirt. All in all, the Square Enix staff were very professional, informative, helpful, and generally nice. They ensured that I had water (I was constantly screaming over Capcom’s speakers while I worked Nosgoth), they made sure that I took all of my breaks, and a few of them even asked me how my feet were feeling throughout each day. Speaking of which, about 4-5 hours into each day, most of the temp employees (myself included) were hopping around from foot to foot and doing toe-touches. I gather that this is because most of us were not accustomed to experiencing life in a standing position outside of a few trips to the bathroom or refrigerator each day. At the end of day three, Naoki Yoshida emerged from under a rock somewhere and signed autographs for eager fans. 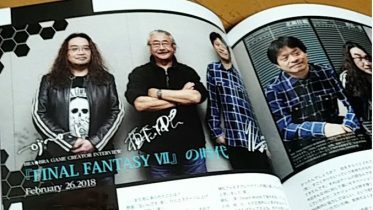 Someone on SE’s staff pulled me away from Nosgoth and had me stand with my back to Mr. Yoshida while he signed autographs. 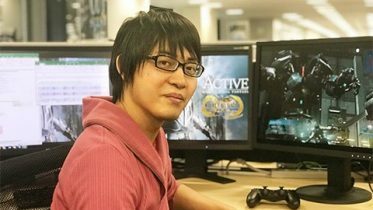 I presume that they chose me, the smallest person in all of E3, to maintain a physical barrier between the fans and Naoki to ensure that no one would, oh … I don’t know … kidnap and hold him for ransom until FFXV’s release date is revealed. I was a few inches away from him, so I got a really good close-up of this Yoshida character. He seemed genuinely content at being engulfed by a hoard of drooling nerds in the midst of a cloud of hot and sweaty armpit musk. He even posed for a few pictures with some fans and he had a big smile on his face throughout the duration of my minutes-long stint as a body guard. The day finally ended with a farewell from some of SE’s staff members. 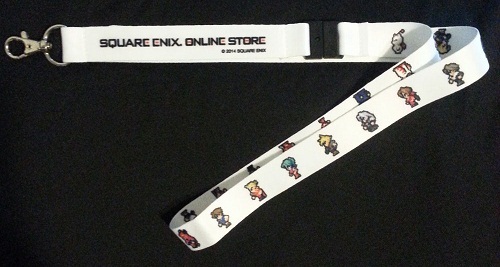 The best — I repeat, best — piece of loot that I came away with was a lanyard that came off of a Square Enix employee’s own neck. Towards the end of day three, while I was hanging around the Nosgoth kiosk, a gentleman approached me and my Nosgoth partner with a camera and asked if he could take a picture of us. I politely told him no, then he explained to me that he worked for SE, at which point I laughed at my own goof and told him that I should have known as much, considering that he was wearing such an awesome lanyard. I asked him (as a joke) if I could have it, and without any hesitation, he gave it to me! I wish I’d taken down his name so that I could send him a thank you. Well guys, I hope you enjoyed reading about my E3 experience. At the very least, the feelings I had working with Square Enix were comparable to puppy snuggles and kittens making biscuits. I hope I have the opportunity again next year. Such a cool place, but, where’s the Kingdom Hearts section? This place is awesome! But, where’s the Kingdom Hearts section?